Dill Weed Oil (Russia) - Ultra International B.V.Ultra International B.V.
Dill weed oil is derived from the herb of the European species Anethum graveolens which is different to that of India Dill (Anethum Sowa). It is also not to be confused with Dill Seed Oil, which differs in both colour and odour. Dill weed has a strong, fresh spicy odour whereas dill seed oil, with its higher carvone content has a more ‘caraway’ type of odour. 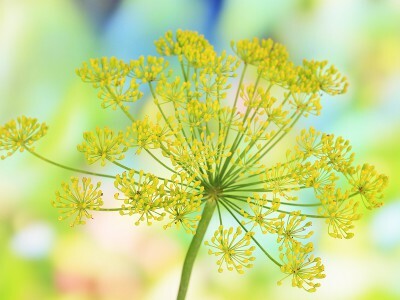 You will find many examples of dill weed being used in modern perfumes not just for its odour profile but in consumer products for its perceived benefits, as its known for its antimicrobial, antispasmodic and sedative properties. There are also some fascinating stories associated to the oil when reading its history. Apparently Romans would apply the oil topically before charging into battles as they believed it can reduce nervousness and stress. Other stories also go on to suggest the oil would protect people against witchcraft and some say it would also be used in the creation of love potions!! So maybe it’s a good idea to apply some dill weed oil to your skin before your next board meeting or better still before that next ‘first date’ so you’re calm and lovable but if you don’t believe in all that maybe you will believe in its aromatherapy benefits? These include promoting restful sleep, reduction of inflammation, prevention of head live and helping with urinary tract infections and reduction of ADHA symptoms in children (owing to its calming properties). In all aspects this essential oil is a great addition to your palette whether it be for flavours, fragrance, personal care and healthcare applications, there’s something in this oil for everyone. Botanical name: Anethum graveolens L.
INCI Name: Aethum graveolens L.
Dill weed oil is derived from the herb Anethum graveolens. The crop is harvested between July and September, and the oil extracted through steam distillation. The weather last season, though, was not healthy for the growth of the crop. Luckily, the production has been good in the United States to meet the demand for the oil.